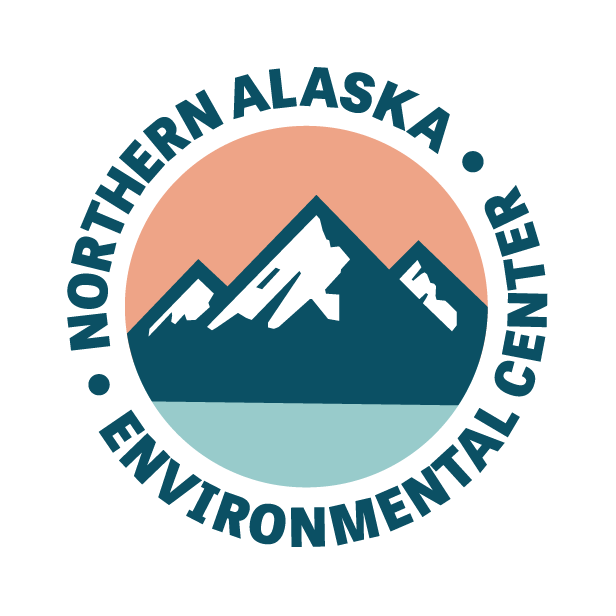 The Northern Alaska Environmental Center is an Alaska-based conservation organization dedicated to protecting the land, waters and wildlife of Interior and Arctic Alaska for current and future generations to use and enjoy. We understand the unique challenges of living in Alaska and seek to balance natural resource development with conserving what makes Alaska special. The Northern Center is committed to defending special places in Northern and Interior Alaska from irresponsible extraction activities, and promoting local initiatives to protect the health and way of life of people living in Fairbanks and Interior Alaska. Believes that a healthy environment is a prerequisite for a sustainable economy. Bases conservation decisions on sound science and ethics. Uses our stakeholders’ energy, expertise and enthusiasm to strengthen the organization. Seeks opportunities to collaborate with federal, state and local government agencies, and with other organizations to enhance our effectiveness. Supports the establishment, protection and appropriate stewardship of designated Wilderness areas, as well other less-restrictive management that protects sustainable uses of non-Wilderness wild lands. Values healthy and intact ecosystems where habitat fragmentation is minimized and wildlands are respected. Favors stewardship over intensive management of natural resources, in order to meet the needs of the present generation without jeopardizing the ability of future generations to meet their needs. Encourages the implementation of clean energy technologies and management practices that minimize air, water and noise pollution and impacts on habitat. Supports public processes—including use of legal, legislative, and administrative systems—in natural resource use decisions. Expects to comment on issues in our areas of expertise and interest. Puts our greatest effort into issues whose results are irreversible or long lasting. Employs clear, honest communication and constructive dialogue.